I think the biggest task of getting ready for school is the school lunch. Living with a peanut allergy, Andrew doesn’t get a ton of choices of food. He would rather buy his lunch, and I don’t blame him! For our family, packing and sending a school lunch is the safest option so I try to keep things fun and interesting. Thankfully, Rubbermaid has helped to make this process easier with LunchBlox. I’ve been using Rubbermaid LunchBlox since Andrew was going into Kindergarten, he’s now in second grade. 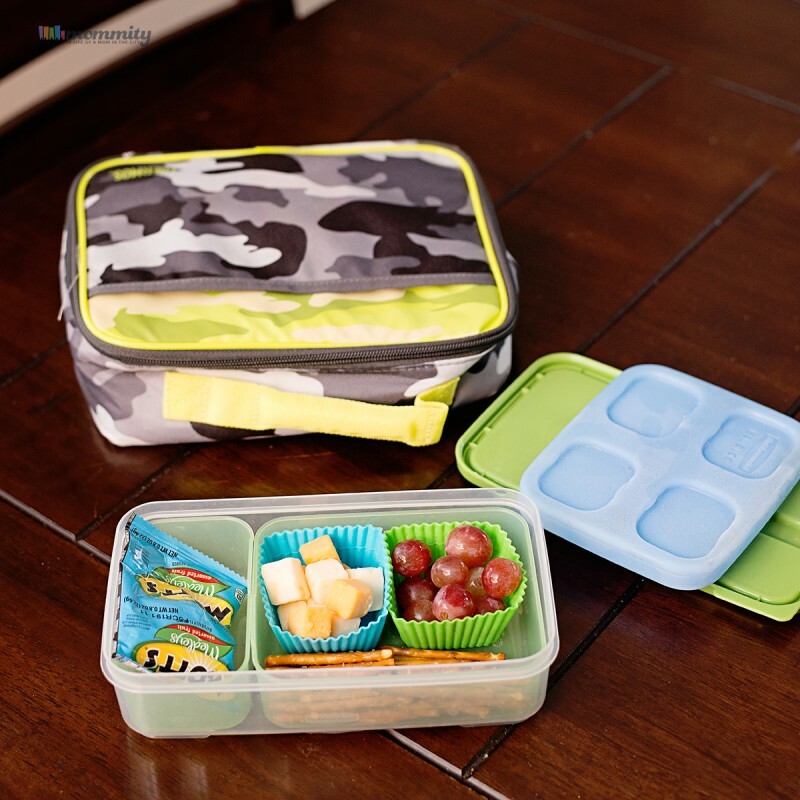 We sought out for easy and convenient ways to send his favorite foods to school and Rubbermaid has done just that with LunchBlox. LunchBlox modular containers come in a variety of sizes, they all snap together with a Blue Ice® tray and stack neatly into a lunchbox. 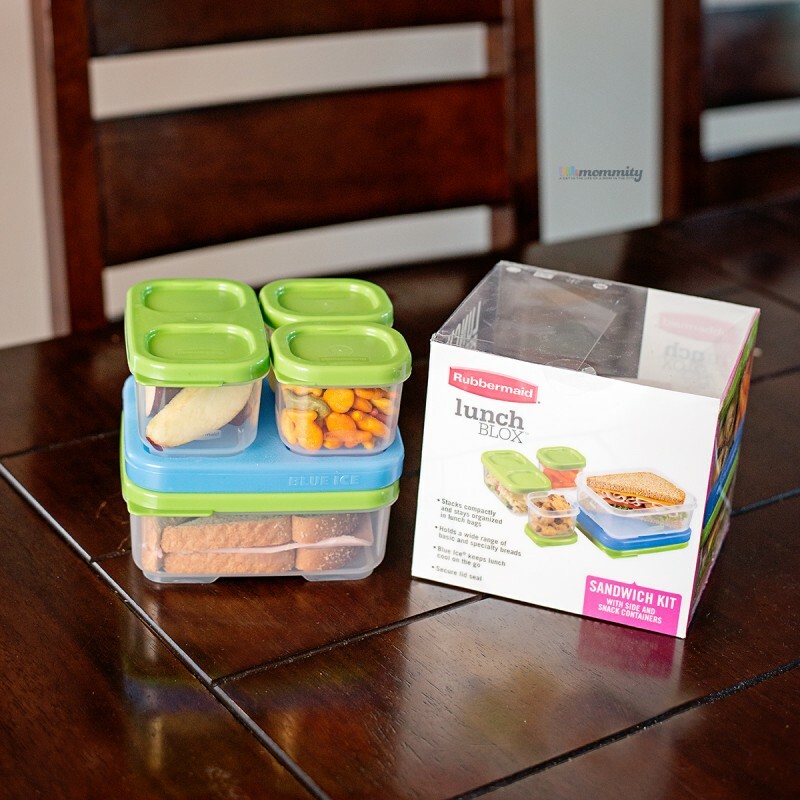 While we have a great collection of LunchBlox food storage containers, I was excited to add the LunchBlox Sandwich Kit. We didn’t have this one yet! When we started using LunchBlox, I purchased this Entrée Kit. It came with removable inserts and is the most versatile piece that we have. It can be filled with sandwich bites, pasta and we even use it with silicone muffin wrappers to add several different things. Andrew can’t stand to have his food touching, so this works perfectly. We have a picky eater on our hands and this is the first year that he has been okay with eating a sandwich at lunch. I was really excited! Except, sandwiches often get smooshed in the lunchbox. 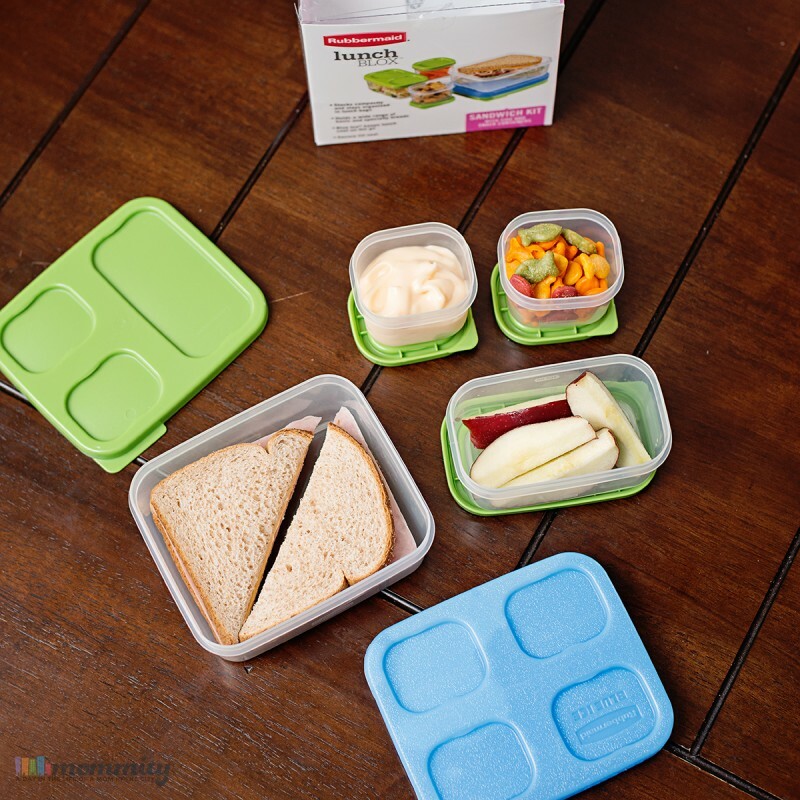 This LunchBlox Sandwich Kit was the perfect solution, making the lunchtime process less complicated. Now we can fit a sandwich into our configuration and it all fits neatly and safely into his lunchbox. The Rubbermaid LunchBlox system has been a savior for our family. They all come perfectly portioned with handy measurements on the sides of each container, making it perfect for my healthy lifestyle. I’ve been avoiding eating out and have been strong since early Spring! Yay me! When my children aren’t using the LunchBlox containers, you will often find them inside of my gym bag. The small ones are great for nuts, protein powders and the middle one is perfect for fruits and veggies on-the-go. 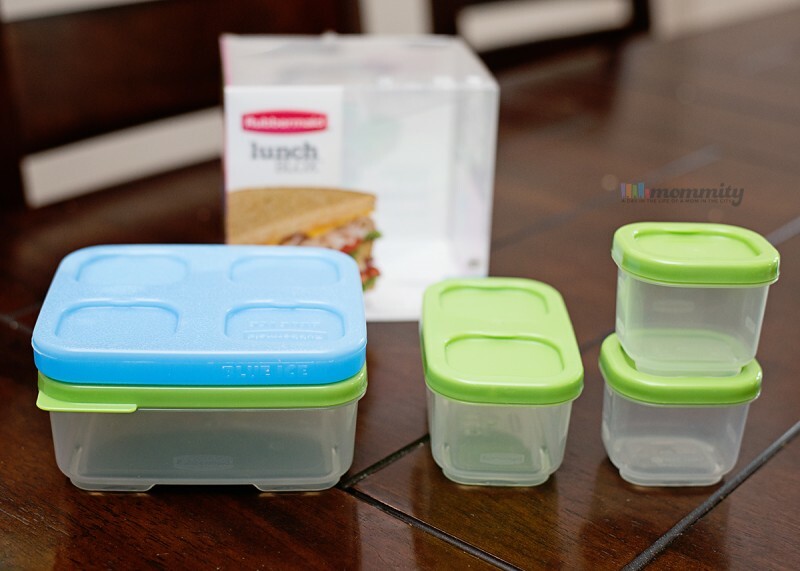 We use these LunchBlox containers every single day! To check out the entire Rubbermaid LunchBlox line, visit www.rubbermaid.com. For other Rubbermaid storage solutions and ideas, get social on Facebook, Twitter and Pinterest.